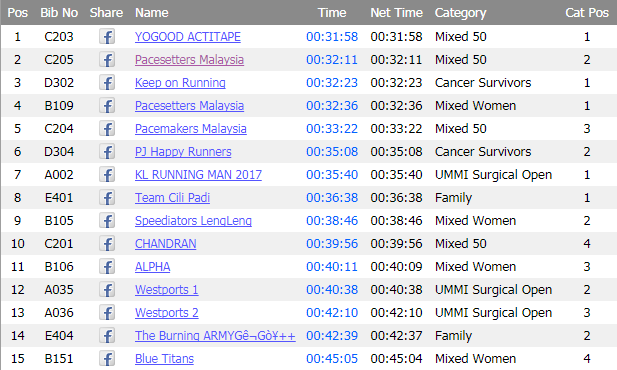 Congratulations to the club's teams in the Blue Cap Relay Run on 24th September at University Malaya. We came in 1st in the Mixed Women category in 32 minutes 36 seconds and 2nd in the Mixed 50 category in 32 minutes 11 seconds. 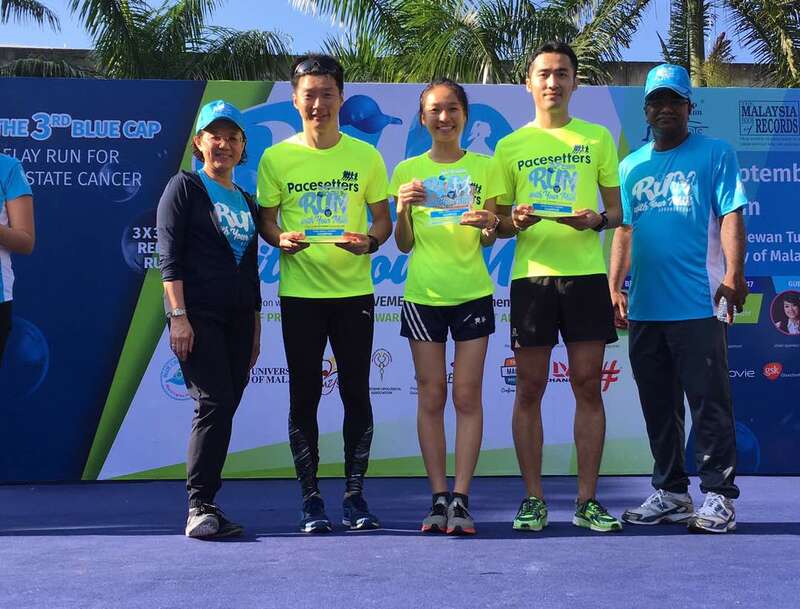 Mixed Women team members (l to r), Goh Shu Wei, Jing Wen and Goh Jing Jing. Mixed 50 team members (l to r), Ng Guo Shen, Daniel Tan and Ronnie See.